Your computer must have iTunes software installed in order to access HACC's podcasts. On Jan. 25, 2007, HACC became one of the earliest educational institutions to adopt academic podcasting. 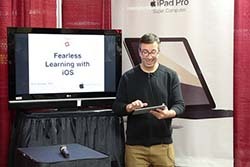 In January 2012, HACC joined Duke, Stanford, Yale, MIT and Open University as one of the six educational institutions to provide full and free, not-for-credit iTunes U courses. Two types of content available! Windows or Mac computers are needed. Apple iPhones or iPads are required. 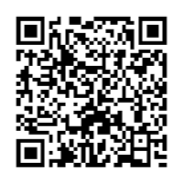 Use your iPad or iPhone to scan the QR code to access HACC's iTunes U courses. HACC faculty have written textbooks to share their knowledge. 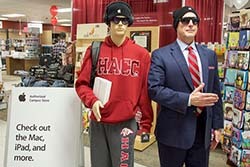 In December 2016, HACC was the 2nd community college in the country to launch an Apple-authorized campus store.